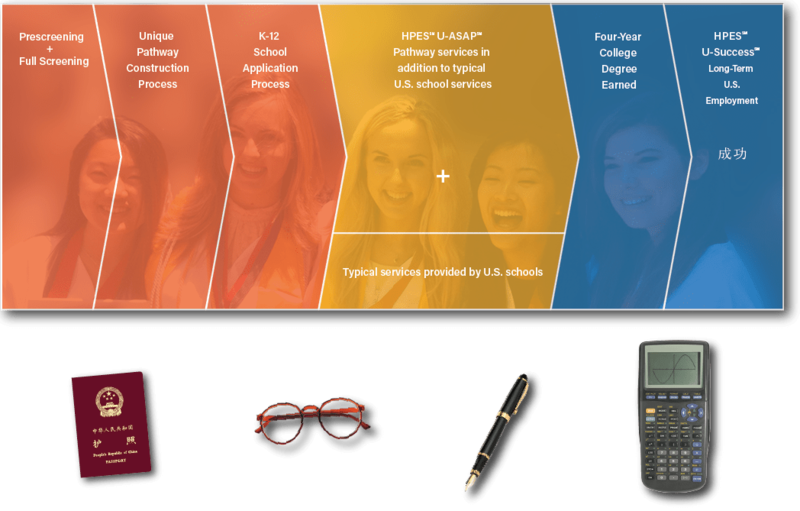 We created our proprietary Ultimate-Advantage Study Abroad Pathway (U-ASAP) Program to U-Success with the goal of enabling Chinese students to attend excellent schools in the United States and then gaining long-term employment in the United States upon graduation from an American four-year college. Our Pathways are built upon three core elements of safety, education and management. Our U-ASAP Program is not just a program that does what other programs do, but a little bit better. Instead, it is an entirely different program altogether. Each U-ASAP Program is designed from the backend forward. We start at the endpoint goals and then work forward with designing and planning until reaching the beginning of each student’s unique U-ASAP Program. As a result of such a design process, our students graduate from excellent four-year colleges completely Americanized and then gain long-term employment in the United States upon graduation. With the necessary components put into place from the very beginning our results are guaranteed. Other study aboard programs simply provide supplemental services to those services provided by American schools. Whereas, our U-ASAP Program is so comprehensive that services provided by American schools are supplemental to our services, instead of the other way around. In order to ensure a continuing one hundred percent success rate, Mr. Raymond Hunter, founder of HUNTER Programs Education Services and creator of the U-ASAP Program, personally conducts this program for each student throughout the duration of each student’s U-ASAP Program. Our limited number of new openings available each year in conjunction with our one hundred percent U-Success rate results in significant competition for those few new openings each year. Andrew Hunter, IEA Chairman, Along With Chinese Teacher, Fields Questions From Students.